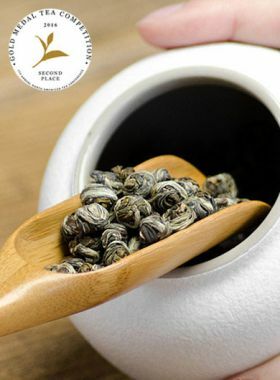 This blend herbal tea is of initial mild flavor with evident jasmine finish, following with sweet and floral aftertaste. 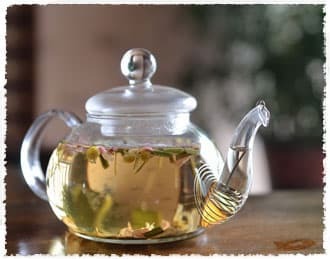 This herbal tea is unique for its interplay of rose, osmanthus, jasmine, and chrysanthemum flavors, coming together to create an intriguing and complex flavor, sweet, smooth, mild, and refreshing all at the same time. It is perfect for summer days; the taste comes out lightly at first, though quickly develops and deepens through further steeps. 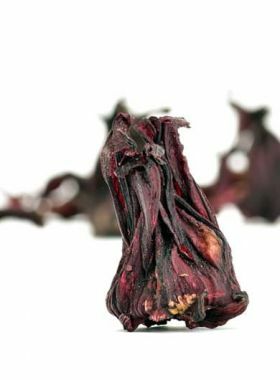 The rose for this tea comes from Pakistan, while the jasmine is sourced from Hengxian in Nanning City, Guangxi Province, China. Chrysanthemums, sometimes referred to simply as ‘mums’ or ‘crysanths’, are flowering plants of the Asteraceae family. It is highly adaptable to different climates, soils, and other natural conditions, with most species originating in Eastern Asia and China. Among the famous varieties grown here are Huangshan Gongju and Hongzhou white chrysanthemum, among others. Osmanthus flowers are yellowish white and carry a strong fragrance. Due to this strong scent and their flavor, they are often used for making food, cosmetics, and herbal tea, the lattermost of which has many beneficial effects on skin and throat health. Lemongrass is common in tropical regions due to its ability to thrive in sunny, warm, humid environments. 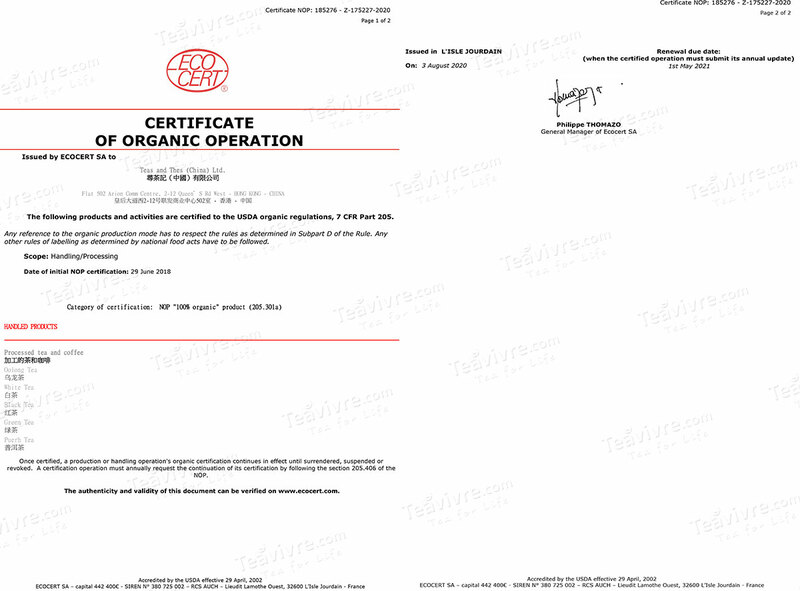 In addition to being a common herbal ingredient worldwide, it is also widely used in Southeast Asia as a culinary ingredient for its health benefits and natural lemon-like taste. 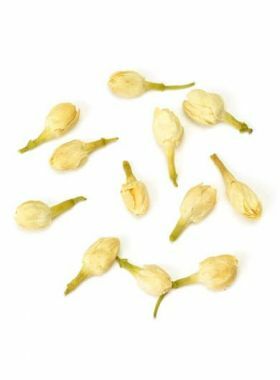 Jasmine is widely cultivated throughout the world for its characteristic fragrance, often said to be reminiscent of the taste of the air in springtime. It is native to the tropical and subtropical regions of Eurasia, Australasia, and Oceania, and was later introduced to China. It thrives in warm, humid regions with abundant sunshine, and blooms throughout summer and autumn. Stevia rebaudiania is a species of the genus Stevia in the sunflower family, and is commonly known as ‘sweet leaf’ or ‘sugar leaf’. It is grown widely for its natural sweetness and use as the base of many artificial sweetener products; the active compounds are various steviol glycosides, which are about 200 times sweeter than standard sugar. It is healthy and ideal for people who seek a lower-calorie, low-sugar, and low-fat diet.